Please send this location to treasure.h@mail.com! Do NOT send in attachments, because they won't be accepted! The topic of your email should be: Location 13 - HOL ID. For example: Location 13 - ma1876. This assignment is due 15th June, 2018. 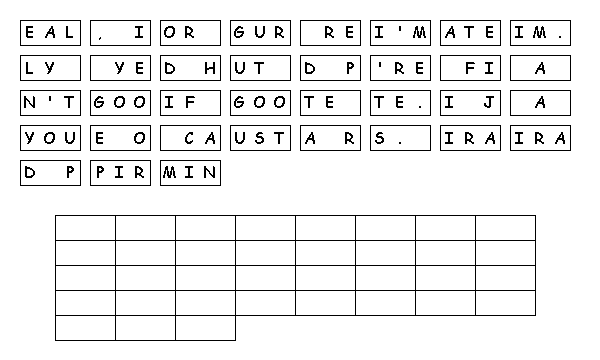 Unscramble the tiles for a secret message. The topic of your email should be: Location 14 - HOL ID. For example: Location 14 - ma1876. You're only a few steps away! 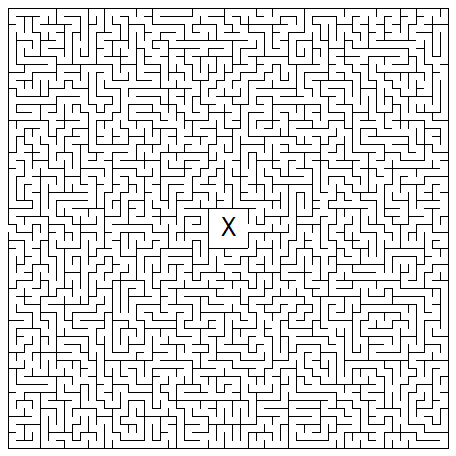 Follow the path to your treasure (the "X")! Solve the puzzle, and upload it to an image hosting site like photobucked, send us the link ONLY! In the lesson, we talked about famous treasures. Research one that was not mention in 200 words or more. Cite any sources that you use. The topic of your email should be: Location 15 - HOL ID. For example: Location 15 - ma1876. Where do you plan on hiding it? How do you plan on protecting it? Will you share it with someone? Please no less than 60 words! Or, if you are not an artsy person, describe your treasure in 200 words or more. Be careful that you still answer all of the questions.